All the time! And I think you’d be hard-pressed to find a writer who wouldn’t say the same thing. But. Even if you do base a character on a person you know, that person becomes changed in small or large ways to accommodate the story you are trying to tell. So in the end, a real person becomes a made-up person. That’s the way it works for me in fiction, anyway. For some writers, characters just come to them, though they are usually vague at first, ill formed. As the writer keeps on with the story, the characters reveal more and more about themselves. There are times, though, when a character comes out of nowhere, fully formed; I love when that happens. HOW it happens, I have no idea. It’s like finding a four- leaf clover. Some writers are very meticulous about keeping notebooks, compiling details that will go into making up a character, and so by the time they start writing, the character is pretty much determined: how he looks and acts and says is less of a surprise. If you want to write, you need to find out what methods work best for you. It’s always best for me when it’s FUN writing a character, even the obnoxious ones–in fact, the obnoxious ones might be the most fun to write. How is writing historical fiction different from other fiction? I think what’s most important in historical fiction is that it feels like the story is actually taking place in whatever time you set it. People need to talk a certain way, have certain ways of doing things, have certain expectations of each other, certain moral codes. Clothes need to be right. Food. The political and social climate. You take on a lot of responsibility when you write historical fiction. You have a contract with a reader that you will take them somewhere else in time; you don’t want them feeling like they’re seeing behind the curtain. It’s much harder than contemporary fiction! Is there something to do to get in the writing mood? I don’t mean to sound flip with this answer. It seems to be true that if you just get that first sentence down, another will want to follow. That said, I’m almost always in the mood to write; it’s what I love doing most. I think if writing is an awful chore for you, if you have to trick yourself into sitting down and putting down lines, you might be better off in another line of work. Even if you’re a good writer, if you don’t like doing it, what’s the point? What is your writing style, in five words or less? 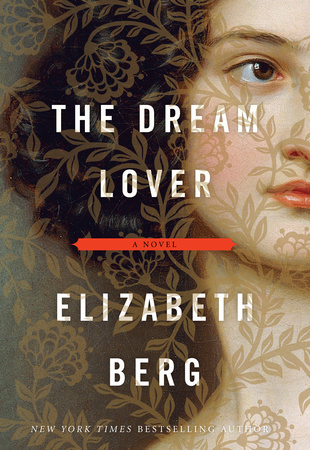 Read more about The Dream Lover here.